Government officials in India today confirmed that Apple will begin manufacturing iPhone devices within its Bangalore plant over the next few months, in a bid to boost the company's presence within the Indian smartphone market. As was previously reported, Wistron will take the brunt of iPhone manufacturing in the country, focusing on the iPhone 6, iPhone 6s, and iPhone SE. In terms of timeline, the iPhone 6 and iPhone 6s will begin production in the next four-to-six weeks, while Wistron will hold off adding the iPhone SE to the production line for another three months, according to the officials familiar with Apple's plans speaking to The Wall Street Journal. Today's news falls directly in line with a report from February that said Apple was planning to begin assembling iPhone SE devices within India in the coming months. “Almost all preparations have been done for launching Apple’s first phase project in Bangalore through Wistron,” the official told The Wall Street Journal. Apple has been slowly and steadily ramping up its presence in India, over the past few months laying the groundwork by negotiating terms with Prime Minister Narendra Modi, seeking tax concessions from locally manufactured iPhones, and setting up a local distribution center to streamline logistics as its presence in the country grows. 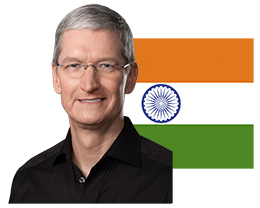 In regards to the tax concessions, the Indian government has yet to accept Apple's demand, but it did mention that it "will try to accomodate as much of their demands as possible" as the relationship between Apple and India grows. Last summer, a report from Strategy Analytics detailed Apple's struggle within India due to the iPhone's expensive price tag, outlining a total 35 percent fewer iPhone devices sold in 2016 than in 2015. 6, 6s and SE? Welcome back 2014, 2015 and 2016! "Hi. I'm Tim Cook. I just want to remind our customers that we want them to have the best products... period." "Uh, that is... unless those products could negatively affect our margins and profit. Then we give you de-laminated, anti anti-glare screen iPads and old phones." /walks off stage to repeated chant of "prof-it, prof-it, prof-it"
iPhone 6 running iOS 11 isn't going to be a pretty sight. Maybe they'll make an iOS Bangalore edition. Why would it make 2GB of RAM mandatory? That would be an unprecedented chopping off of supported models. You are correct they never will. Just devices with less ram will run like a dog, like my iPhone 4 and iPad 2 as examples. Meanwhile nothing is made in North or South America. They want to dump all unsold inventory of A8 lying around in Chinese warehouses. If iOS 11 makes 2GB RAM mandatory, all iPhone 6 models are dead fish. Or my iPad Mini 2 on iOS 10. The longevity of iOS devices recently is unprecedented. As long as you don't upgrade the OS. Cook stated America lacks sufficient skilled machinists to operate an Apple manufacturing facility. This year they are definitely dropping 32 bit support. So that basically gives newly purchased iPhone 6 models just 1-1.5 years of software life. What does 32 bit have to do with RAM under 4GB? That limitation means absolutely nothing.